Yes! For any search or segment, we'll provide a Top Users Searchie. The Top Users Searchie will appear under your search results and will correspond to your current search query. You'll be shown users who have the most matching sessions for your current search. 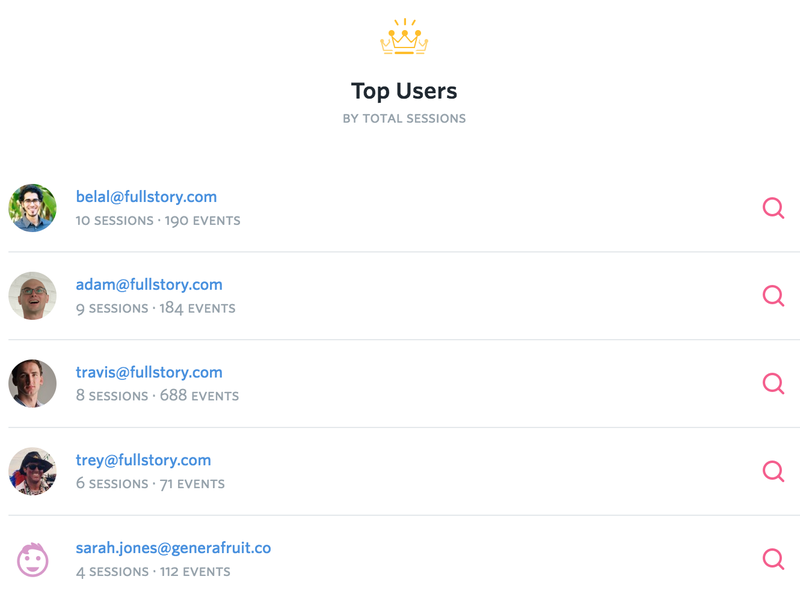 The events count is the total events in all of the sessions that match your search criteria for a user. Click on the user details to view their user card and stats. Hover a user and click on the magnifying glass to the right to add that user to your search criteria.